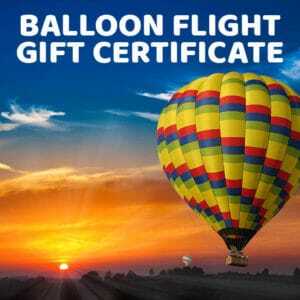 Napa Valley Activities – Try Balloons Above the Valley Flight for Fun in the Sky! Napa Valley activities should be a pleasant, fun and memorable experience. You get to discover the grapevines, the wineries, and the beautiful scenery that surrounds the Valley. You even get to literally taste what the Valley has to offer. However, nothing can equal the experience of hovering over the Napa Valley in a hot air balloon. This is probably the greatest way to discover the breathtaking expanse of the Valley and surrounding areas, and certainly one of the most fun things to do in Napa. We recommend that visitors reserve their bookings ahead of time with Balloons Above the Valley (BATV) for the spring or summer season when the beauty of nature literally blooms right before your very eyes. Summer and spring are the best seasons where the Napa landscape brings out its most vibrant, seemingly untouched magnificence from the bird’s eye view on the hot air balloon. Not surprisingly, summer in particular is a very busy time for Napa Valley, where roads lead to the region are usually congested; tasting rooms and restaurants become extremely crowded. Winery picnics dot here and there around the Valley. Summer concerts are often held and some events such as the Sonoma Wine Country Weekend allow people to sample food and wine for a fee. Overcrowding is one of the downsides of going to Napa Valley particularly during the spring and summer. One way to get away from it all, at least for the moment, is to ride on the hot air balloon. Fortunately, summer and spring is the best time to do this because it’s sunny and clear. As tourists fly over the Valley, they will instantly feel that they become one with nature. The concrete jungle and the roads fade away from sight, and nature begins to really stand out, beckoning them to further discover its own magnificence. They can see several varieties of trees such as oak, bay and eucalyptus just to name a few. Tourists’ senses begin to relax by seeing the various shades of green. While on the hot air balloon, tourists will appreciate the amazing agricultural landscape of the Napa Valley. They will gaze at and admire the neat rows of grapevines in their full, verdant foliage as the balloons drift above them. Visitors can actually see that the vines are just starting to bear those precious grapes. Irrigation pools not only mirror the cloudless, azure sky, but also other hot air balloons that are making their own celestial escapade. Tourists will take delight at the various colors and designs of the other hot air balloons that drift in the sky, making the scene camera-worthy. Since hot air balloons float best in cool, calm and stable winds, a morning flight on the balloon is the ideal time. We understand that visitors have a difficult time waking up early while on vacation. But after some coffee & pastries and a short meeting with the tour guide, they’ll be energized and excited once they arrive at the launch site, raring to climb aboard the hot air balloon. Napa Valley in the early morning is especially beautiful, and it does take your breath away. As the sun rises, the morning light dramatically unravels on the fields and vineyards, waking them up to display their bright, lush foliage. The summer sky will finally turn blue and clear after a moment of darkness. Once visitors are up in the balloon in the early morning, the whole atmosphere gives off a sense of freedom but also a peace of mind. However, like the rest of San Francisco, the Napa Valley may also be enveloped in the summer fog, which lowers temperatures and reduces visibility all of a sudden. When this happens, Balloons Above the Valley will take their passengers to a valley a little further inland to Yolo County. While the Napa Valley is the top destination for hot air balloons, the other side of the hills unpacks a delightful surprise. Visitors riding on the balloon graze the orchards that have several varieties of trees such as walnut, almond and pistachio. They will delight at the sight of huge fields of alfalfa, sunflower, and tomato that resemble a giant quilt. There’s just a very little visual difference between vineyards and crop fields when visitors view them from a thousand feet above. There are a lot of other things to see — on the east tourists can see the Sacramento skyline and the Sierra Buttes on the north. They might also get a decent view of the Lake Berryessa although there’s a good chance that it will also be enveloped by the fog. Gliding over the Napa Valley (and its surrounding areas) on the hot air balloon during the summer and spring is an incomparable experience indeed. The region even offers some surprising attractions that are not usually visited, making the whole ride more interesting, dazzling and stimulating to the memory. Don’t miss out on the experience of "flying" in the sky during the beautiful and awe-inspiring Napa Valley tour. For those who have had fun riding the hot air balloons, it’s guaranteed that they will want to have that exhilarating Valley flight all over again!